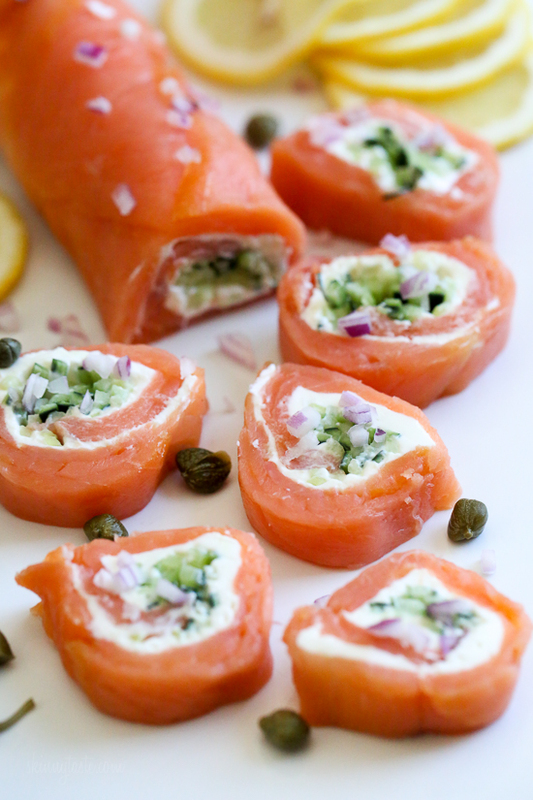 Before you add the finishing touches to your Fourth of July festivities, add a few drool-worthy appetizers to your barbecue menu (because your guests need something to munch on while they wait for the grill to start, right?). 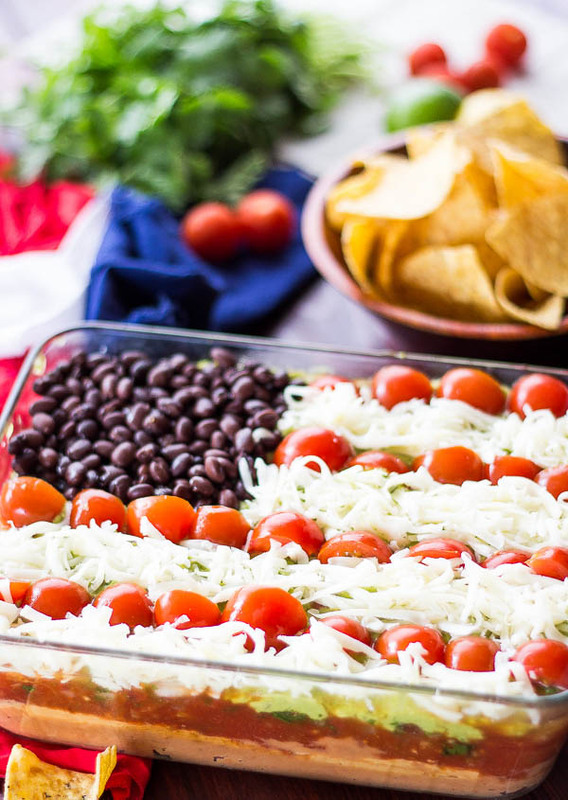 From a red, white, and blue summer salad to a seven-layer dip, these are sure to be a hit. A barbecue isn’t complete without some sliders. Either stick to the usual tomatoes or switch things up with a couple slices of strawberries — whatever you decide, the fun play on words is sure to be a crowd pleaser. For a light summer salad option, put together this refreshing medley of strawberries, blueberries, and jicamas. 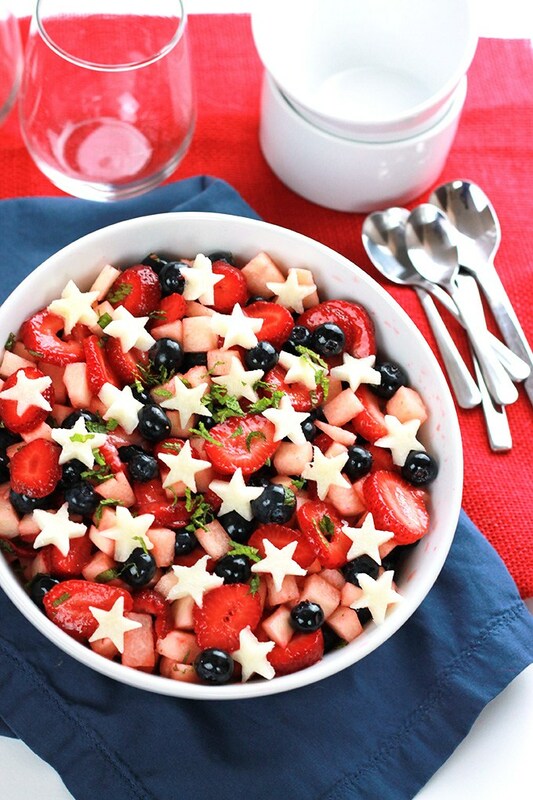 Bonus points for cutting little stars out of the jicama! Here’s a meat-free option that doesn’t skimp out on flavor. Oh, it’s keto-friendly, too! 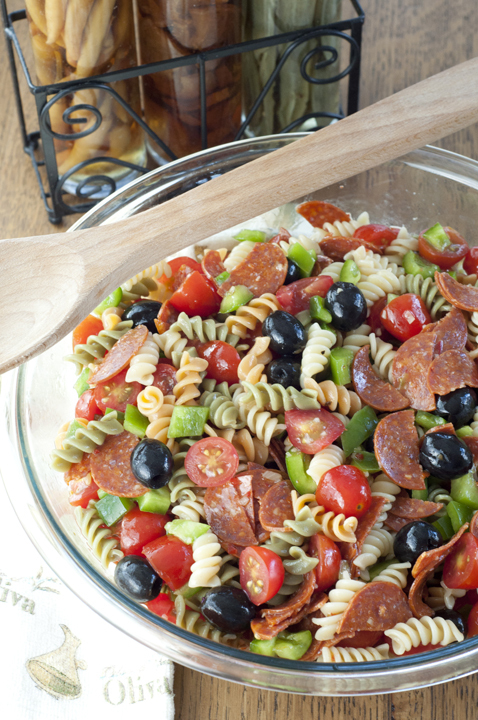 You can’t go wrong with a pasta salad. Make a large batch because this recipe is just as tasty the following day. 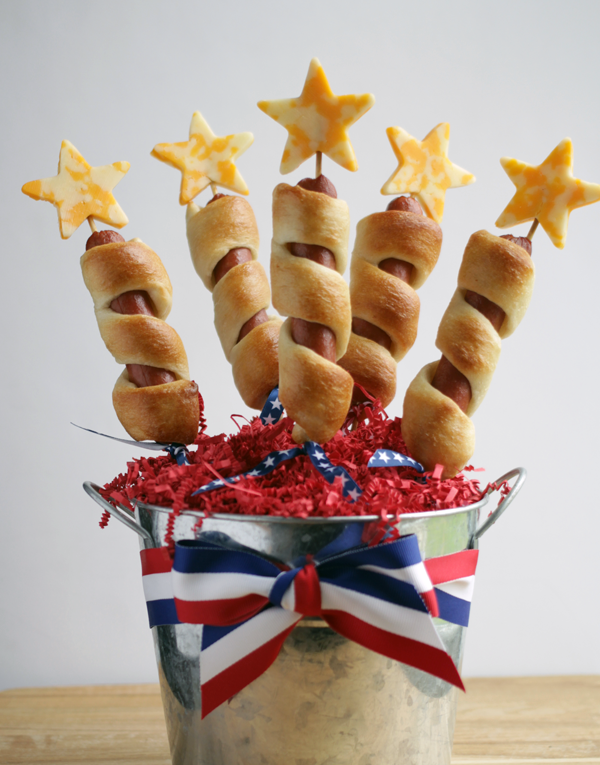 Add a Fourth of July twist to the quintessential barbecue food by topping it with a star-shaped slice of cheese. 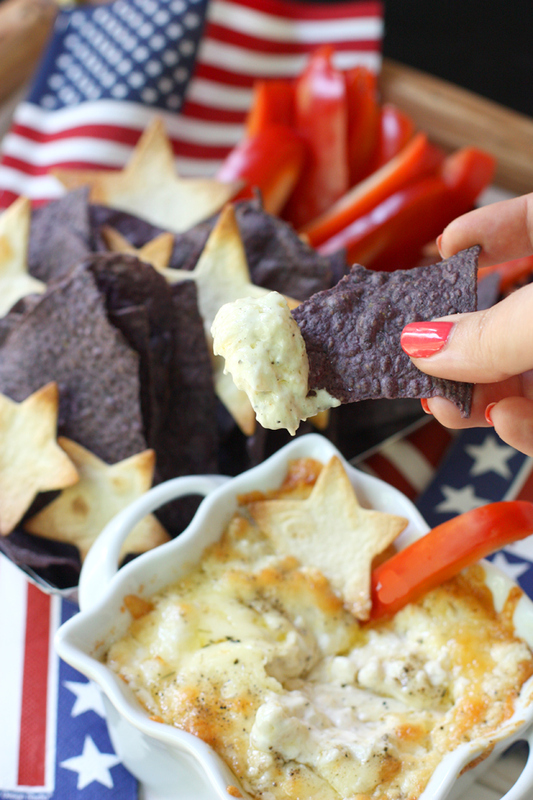 One Pinterest-worthy dip coming right up! 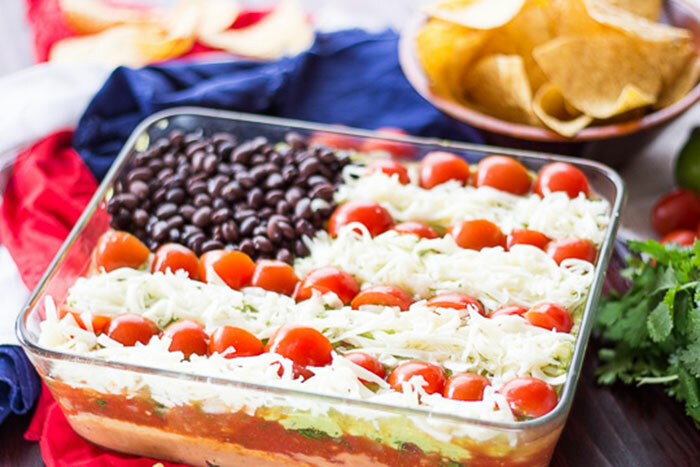 Layer refried beans, hummus, salsa, pico de gallo, guac, and cheese, then decorate the top to resemble the American flag. 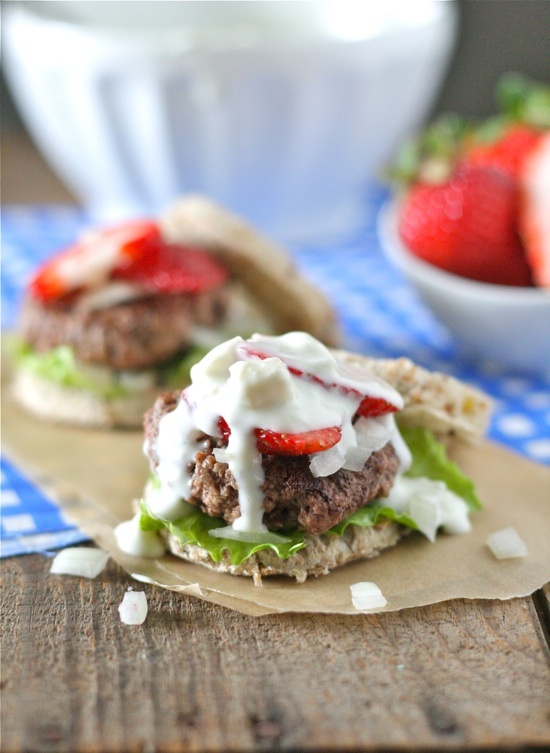 Want a low-carb option of a barbecue staple? 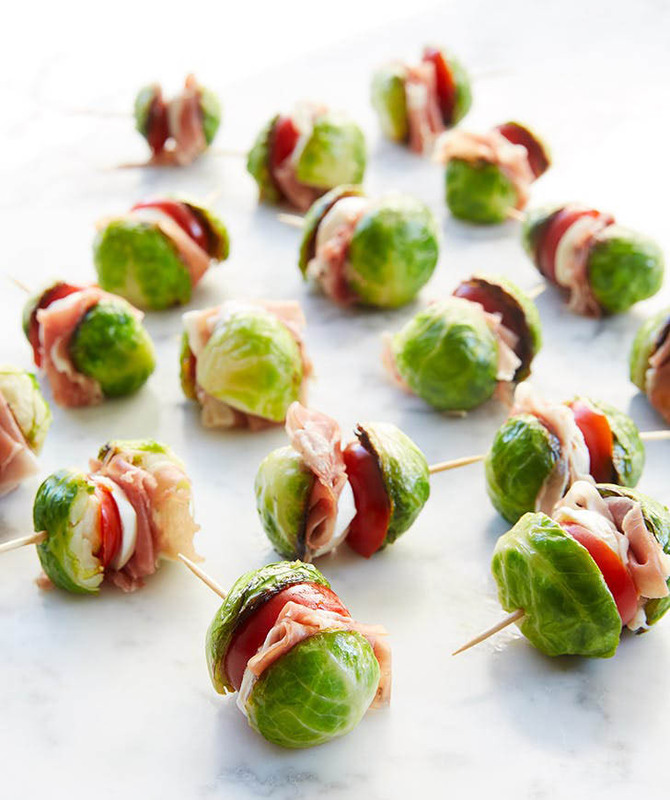 Swap the buns out of sliders with Brussels sprouts. If you’re not much of a cook, try this dip. It only takes 30 minutes to whip up and can be served with store-bought blue corn tortilla chips, pita chips, and red bell peppers. 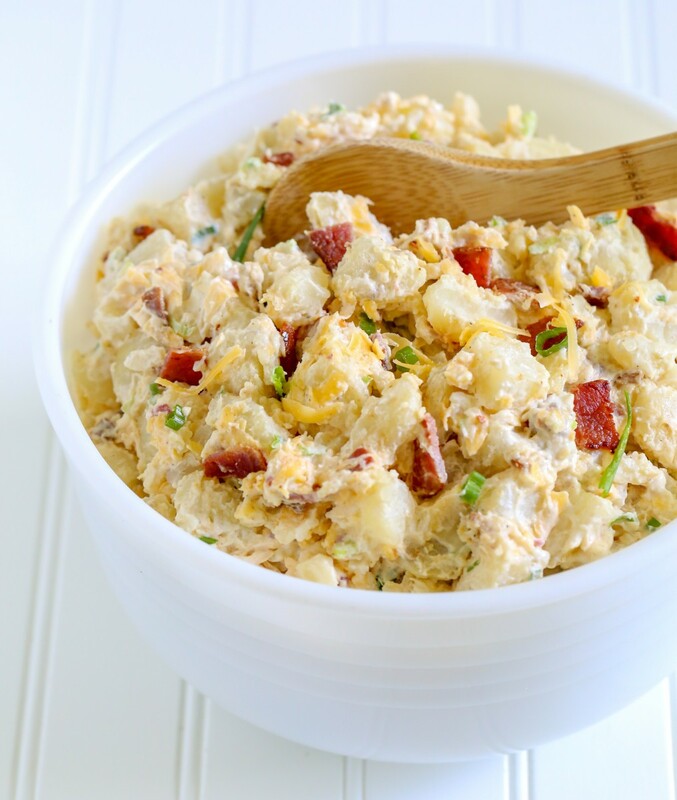 This isn’t just your ordinary potato salad — it’s loaded with everything you’d top your baked potatoes with. Think bacon, cheddar cheese, and green onions…yum! 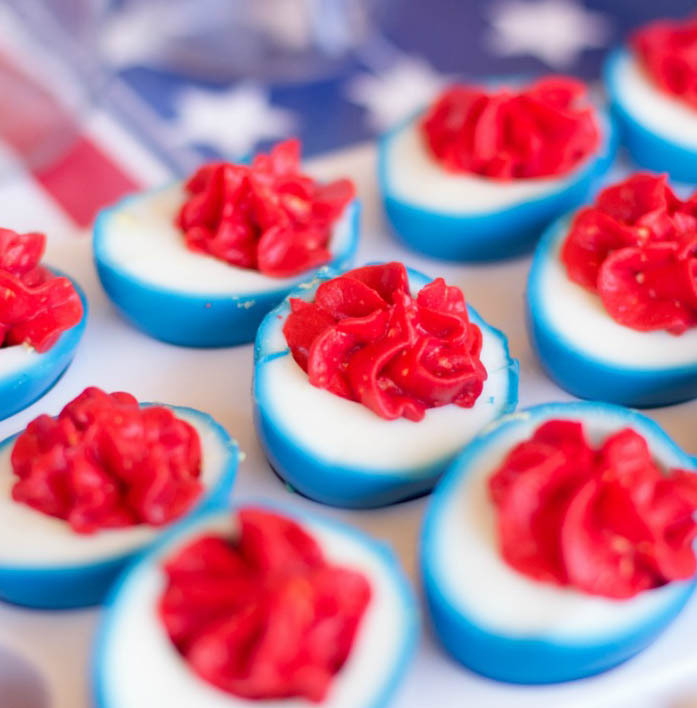 It doesn’t get any more festive than these red, white, and blue deviled eggs. Get the kids involved because this one makes a great Independence Day activity. What are your plans for the Fourth of July? Let us know in the comments below! Looks great but how do I get the recipes? There’s no links.! Ooo, I like the way the dip looks!